ELIGIBILITY. This contest (the “Contest”) is offered by MCC Magazines, LLC (“Sponsor”). The Contest is open only to those who are at least 18 years old as of the Contest start date of 6/1/2016. This Contest is not open to residents of a state where state law prohibits such contests. Employees and directors of Sponsor and all of its subsidiary and related companies and the immediate family (spouse, mother, father, sister, brother, daughter or son, regardless of where they live) or members of their same households (whether related or not) of such employees and directors are not eligible. By entering this Contest, you agree to these Official Rules and the decisions of Sponsor, which shall be final and binding in all respects. No purchase is necessary to win, and purchasing any product will not improve your chances to win. Contest void in states where contest is not valid or allowed. Winner must accept all terms and conditions of prize to qualify. PROMOTIONAL PERIOD. The promotional period for The Contest begins on 6/1/2016 at 12:01 a.m. Alaska Standard Time, and ends on 8/1/2016 at 5:00 p.m. Alaska Standard Time (“Promotional Period”). ENTRY. 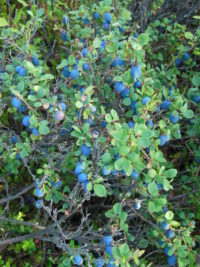 There is no cost, nor purchase required to enter the Contest, which must be entered via the Internet at www.alaskamagazine.com, accessible directly and via other sites. To enter by Internet, you must already have access to the Internet, as it is not required that you obtain Internet access solely to participate in this Contest. The computer used to enter the Contest must accept cookies, or any successor or similar technology (now known or hereafter devised or discovered), which may be used by Sponsor for the purposes of entry tracking. Complete the entry form by completing all requested fields and follow the instructions at the website. False or fictitious information is not allowed and may void the entry. All entries must be made manually. Entries submitted through the use of scripts, programs or other electro-mechanical processes (other than manual entry) are prohibited. No responsibility is assumed for any computer, telephone, cable, network, satellite, electronic or Internet hardware or software malfunctions, failures, connections, availability or garbled or jumbled transmissions, or service provider/Internet/website/usenet. AWARD. 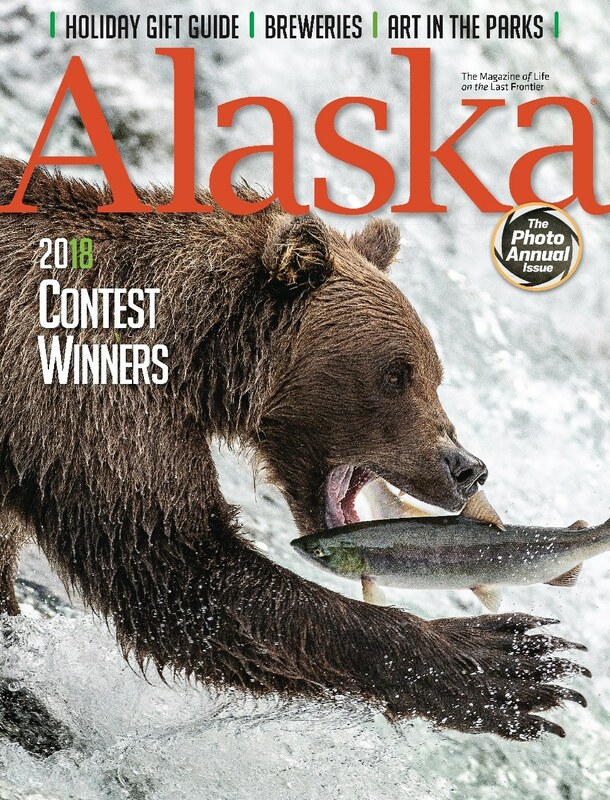 The sole prize shall be a one-year subscription to Alaska magazine and having the winning photo(s) printed in the November 2016 edition of Alaska Magazine. By entering the Contest, each entrant grants the Sponsor a royalty free, non-exclusive, non-revocable, perpetual and worldwide license to use and publish their photo(s) in the November 2016 Edition (in print or electronically formats) and other places chosen by Sponsor. By entering the Contest, each entrant agrees to execute a waiver or license agreement (a “Photo Release”) in accordance with the above terms, although such Photo Release shall not be necessary to make such permissions enforceable. GENERAL CONDITIONS. The Contest is void where prohibited. Each entrant represents that it is sole owner of each all of its submissions and has the right to grant the Photo Release. Each entrant further agrees to release and hold harmless Sponsor and its affiliates, subsidiaries, advertising and promotion agencies and their respective directors, officers, employees, representatives and agents from and against any and all liabilities related to such representations. LIMITATIONS OF LIABILITY. Sponsor is not responsible for any incorrect or inaccurate information, whether caused by website users, or tampering or hacking, or by any of the equipment or programming associated with or utilized in the Contest and assumes no responsibility for any error, omission, interruption, deletion, defect, delay in operation or transmission, communications line failure, theft or destruction or unauthorized access to the website. Sponsor is not responsible for injury or damage to participants’ or to any other person’s computer related to or resulting from participating in this Contest or downloading materials from or use of the website. If, for any reason, the Contest is not capable of running as planned by reason of infection by computer virus, worms, bugs, tampering, unauthorized intervention, fraud, technical failures, or any other causes which, in the sole opinion of Sponsor, could corrupt or affect the administration, security, fairness, integrity or proper conduct of this Contest, Sponsor reserves the right at its sole discretion to cancel, terminate, modify or suspend this Contest for any drawing(s) and select the winner from entries received for that drawing prior to the action taken.IN NO EVENT WILL SPONSOR, ITS LICENSEES, AND OR AFFILIATES, SUBSIDIARIES AND RELATED COMPANIES, THEIR ADVERTISING, LEGAL OR PROMOTION AGENCIES OR THEIR RESPECTIVE OFFICERS, DIRECTORS, EMPLOYEES, REPRESENTATIVES AND AGENTS, BE RESPONSIBLE OR LIABLE FOR ANY DAMAGES OR LOSSES OF ANY KIND, INCLUDING DIRECT, INDIRECT, INCIDENTAL, CONSEQUENTIAL OR PUNITIVE DAMAGES ARISING OUT OF YOUR ACCESS TO AND USE OF INTERNET SITE www.alaskamagazine.com OR THE DOWNLOADING FROM AND/OR PRINTING MATERIAL DOWNLOADED FROM SAID SITE. WITHOUT LIMITING THE FOREGOING, EVERYTHING ON THIS SITE IS PROVIDED “AS IS” WITHOUT WARRANTY OF ANY KIND, EITHER EXPRESS OR IMPLIED, INCLUDING BUT NOT LIMITED TO, THE IMPLIED WARRANTIES OF MERCHANTABILITY, FITNESS FOR A PARTICULAR PURPOSE OR NON-INFRINGEMENT. SOME JURISDICTIONS MAY NOT ALLOW THE LIMITATIONS OR EXCLUSION OF LIABILITY FOR INCIDENTAL OR CONSEQUENTIAL DAMAGES OR EXCLUSION OF IMPLIED WARRANTIES SO SOME OF THE ABOVE LIMITATIONS OR EXCLUSIONS MAY NOT APPLY TO YOU. CHECK YOUR LOCAL LAWS FOR ANY RESTRICTIONS OR LIMITATIONS REGARDING THESE LIMITATIONS OR EXCLUSIONS. WINNER’S LIST. 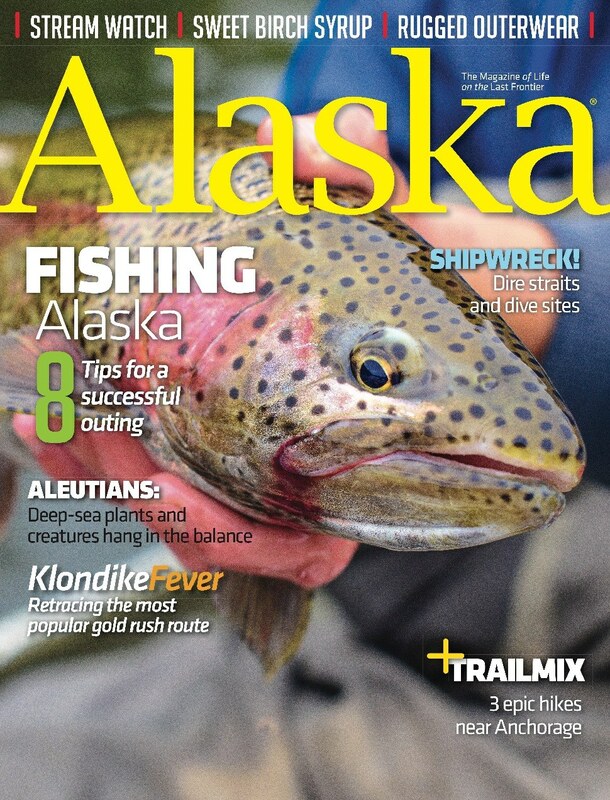 The winner’s list will be displayed in the November 2016 issue of Alaska magazine. Winners list can also be obtained by writing and sending a SASE to: Alaska Magazine, Photo Contest Winners List Please, 301 Arctic Slope Ave, Suite 100, Anchorage, AK 99518.